Troops observed movement of two-three persons along the IB near Nikowal Border Out Post in Arnia sector, IG BSF, Jammu frontier, Ram Awtar said. BSF troops on Thursday foiled an infiltration bid and killed an intruder along the International Border in Jammu district. Troops observed movement of two-three persons along the IB near Nikowal Border Out Post (BoP) in Arnia sector around 0545 hours, IG BSF, Jammu frontier, Ram Awtar said. They challenged them and opened fire resulting in the death of one intruder, he said adding, the deceased was in his thirties. The force also destroyed two Pakistani posts in retaliation to the killing of its jawan in unprovoked firing. Two Pakistani mortar positions were "located, targeted and destroyed by BSF troopers on Wednesday night only. The coordinated precision fire of BSF troopers silenced Pakistani guns," a BSF spokesman said. 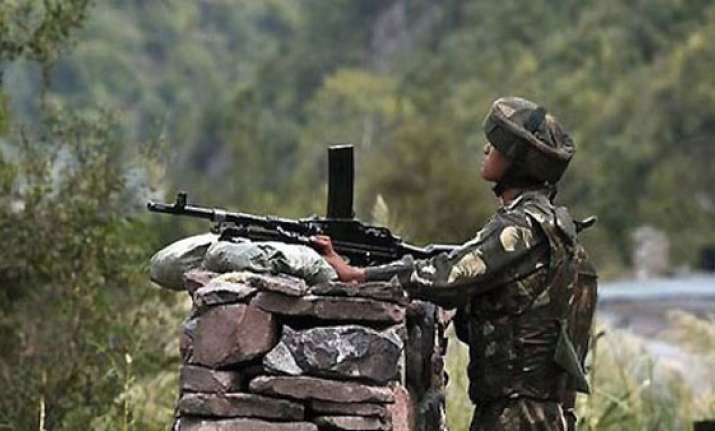 On Wednesday, a BSF jawan was killed in unprovoked firing by Pakistan, the first this year, in Samba sector of Jammu and the force had since then launched retaliatory fire.